Host your next event at Inner Bliss Yoga Studio! 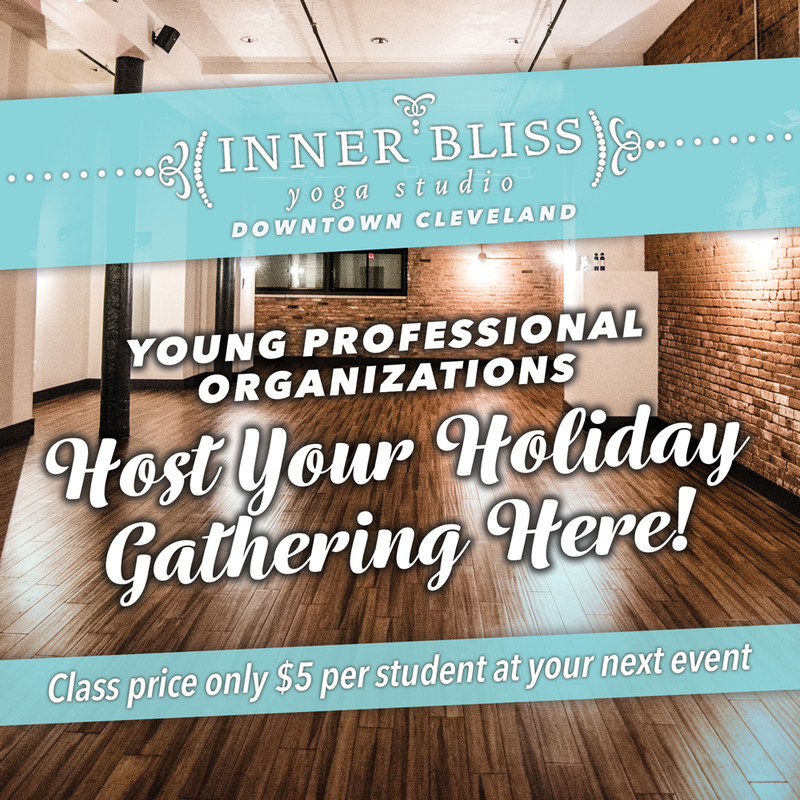 Inner Bliss Yoga Studio in Downtown Cleveland proudly offers a 1 hour Yoga Flow for All Levels class to Young Professional groups at a discounted rate of $5 per person. Friendly Inner Bliss teachers tailor their classes to All Levels - no experience necessary!